The island of Mallorca (Majorca) is one of the four largest main Balearic Islands in the Mediterranean that belong to Spain. 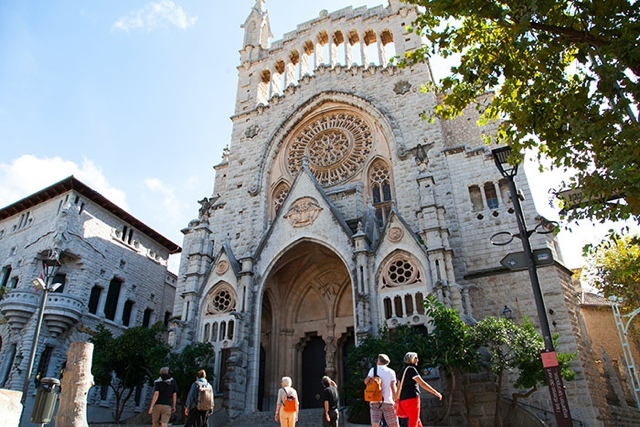 It is known for it’s capital city of Palma and also for its crazy party town of Magaluf that is increasingly popular with British bachelor and bachelorette parties. However the island isn’t all big cities and party towns, there is a lot more to it as well, with quiet costal towns, scenic train rides, caves to explore, fabulous road trip scenery, great beaches and more. Our lovely villa for the week! While staying in a luxury villa with Travelopo on Mallorca I was recently happy to explore and get to know one of these small quiet towns on the island quite intimately. 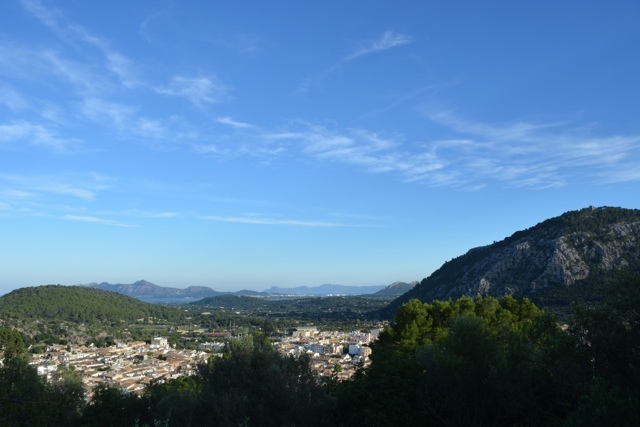 This small town, a 45 minutes bus ride from Palma or a quick 10 minute drive from the coast is known as Pollensa (Pollenca) and was originally built in from the coast to protect its inhabitants from pirates. It is also said to be one of the least touched by tourism of all of the towns on the island, making it a great place to mingle and meet the true locals of the island. Our villa that we stayed in was just at the edge of town, only a 10-15 minute walk to the city centre. To learn more about the property check out my review HERE. For 6 days and 5 nights I got to enjoy this beautiful property and also explored this cute little town. 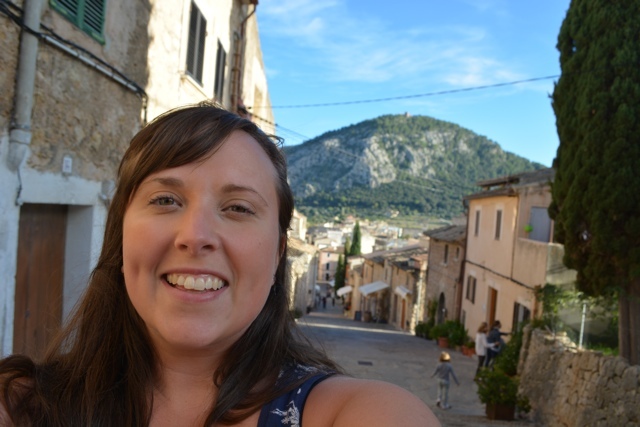 Here are some of my best tips for things to see and do if you are visiting Pollensa. 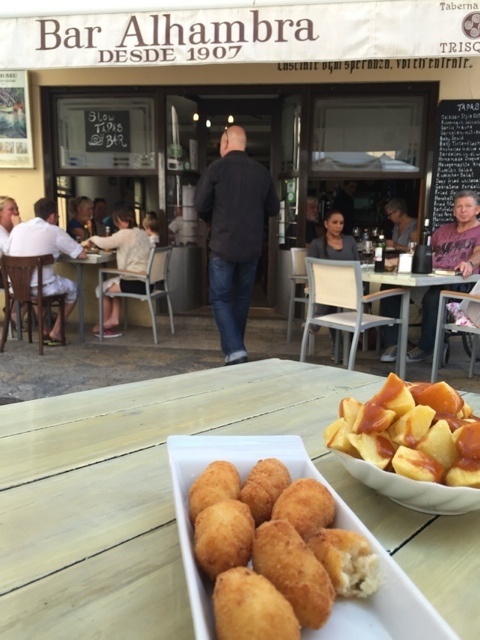 Croquettes and patatas bravas at one of our favourite spots. This of course is a general rule if you find yourself visiting any part of Spain. Tapas, if available, is always a must with patatas braves being my favourite. I was actually surprised to find out that Mallorca actually has their own spin on patatas bravas with no white sauce, only a spicy red sauce but still delicious nonetheless. Most restaurants in town serve tapas however there were a few spots that quickly became our favourite in the town square. 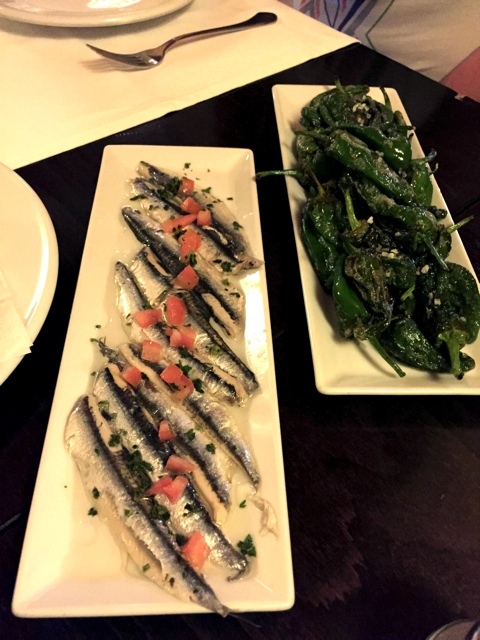 Another favourite of ours were also the fried anchovies, the anchovies in vinegar (pickled I suppose) and the small pan fried green peppers with delicious Mallorcan sea salt. Of course I can’t also forget the delicious and cheap wine that this was all washed down with. There is a market somewhere every day on the island of Mallorca and sometimes at more than one location on the same day. 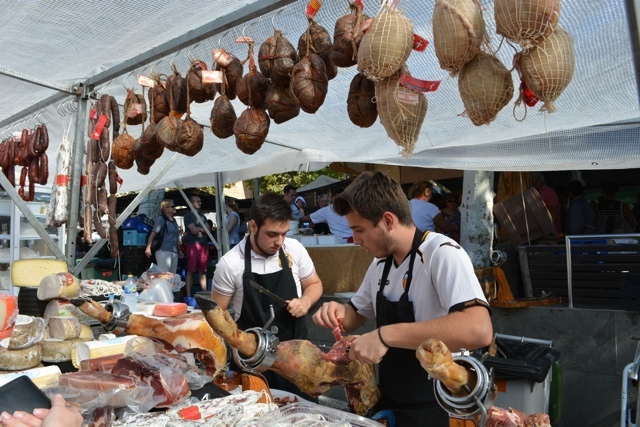 In Pollensa the market takes place every Sunday morning from 8:30am until 1pm. Visit the market for stalls upon stalls of fresh and cheap produce, buy expensive olives, drink early morning fruit juice with added alcohol, enjoy fresh donuts, and whatever you do don’t forget to spend 40 euro on Jamon Iberco. At least that is what we did. 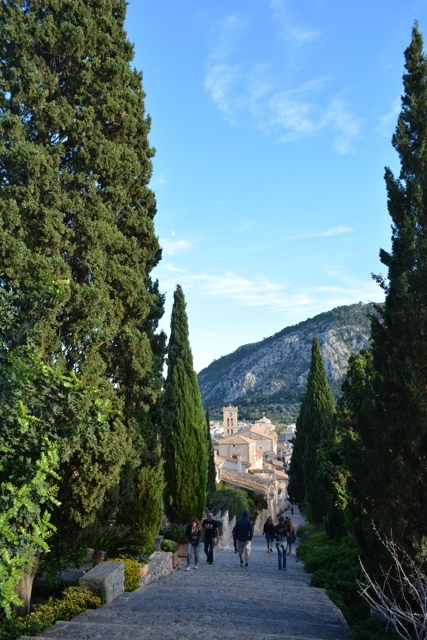 One of the popular activities for visitors in Pollensa is to walk up the large set of steps known as the Calvari steps. It is said that there is one step for every day of the year. 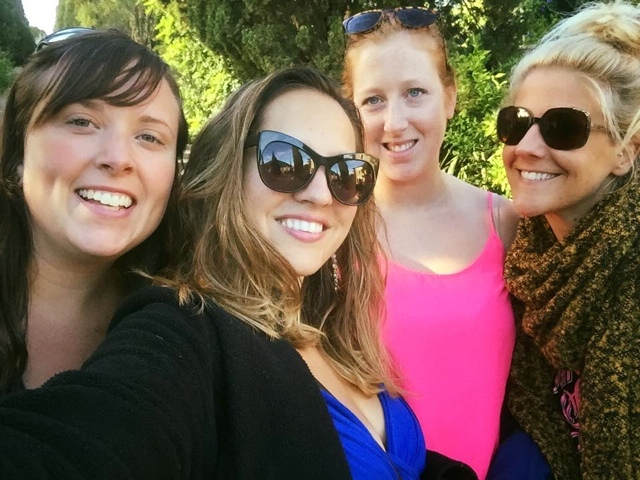 I walked up the steps with Kate, Vicky and Candice and we stopped to take a selfie on each persons “birthday step” as you do. However near to the top we realized that there were more than 365 steps. We were then of course left stumped on that one. 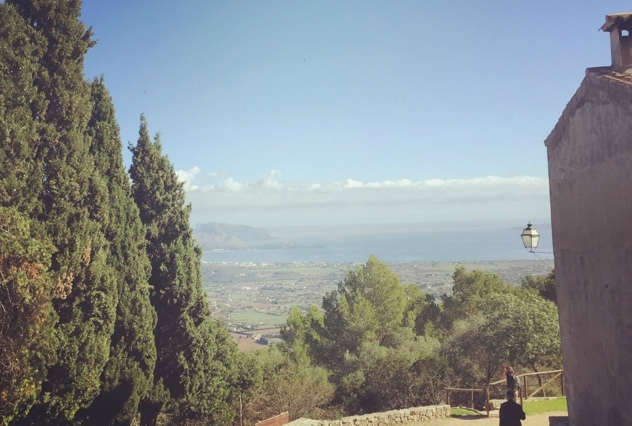 But we made it to the top and were greeted with a small church known as Calvari Church which has a tiny cafe attached and a gorgeous view of the Bay of Pollenca, other parts of Mallorca and Puig de Maria. High on top of a 330m hillock known as the Puig de Maria is a Monastery (Santuari de la Mare de Déu del Puig) which dates back to 1348. We had a view of this castle like Monastery from our rental property that left us curious to visit. Candice however was the only one to actually make the 45minute hike to the top and from what she says the views are gorgeous. The Monastery has now been renovated and has been turned into accommodations and a restaurant. If you can afford to rent a car while you are in Mallorca I definitely recommend it as there are so many different things to see. There are also TONS of rental companies at the airport which can make your rates quite affordable as they compete with each other. From small seaside towns to, old trains, to adventuring into caves, even the journey itself around the island is beautiful so your road trip will be full of gorgeous sites to see. One of my favourite things to do in a small town like Pollensa is to really own a place and live there like you are a local. I like to get into habits by visiting the same bakery each day and forming relationships with the locals, going for tapas at the same spot more than once or even just something as simple as going for early morning walks through the town and saying a friendly “hola” to everyone you meet. Shopping where they shop and then of course enjoying the life and food like they do and don’t forget the siesta! 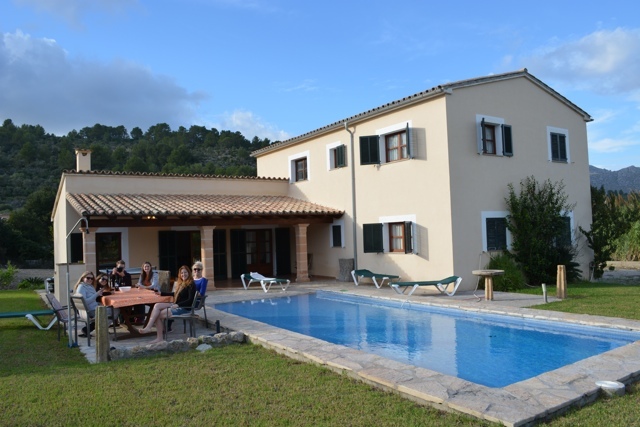 If you find yourself thinking of visiting Mallorca, I highly recommend staying in Pollensa and looking into renting a luxury villa like we did to truly enjoy your stay. Have you been to Pollensa or Mallorca? 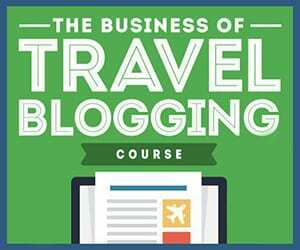 Do you have any other suggestions of things to do and see? Leave them in the comments below! What a peaceful place … basically the antithesis to Magaluf! I love Spain so much and it seems Mallorca would be just as wonderful as the places I’ve visited previously. Pollensa is on my list for sure! Ahhh I miss Mallorca! Such a nice time there. It’s such a good spot. I’d chop off an unimportant digit to be sat by a pool now eating tapas right now!